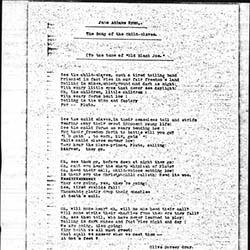 Long sends Addams song lyrics for the use of the peace movement. 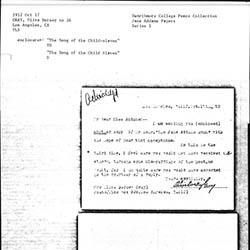 A program from the Peace Song Service on December 20th, 1914. 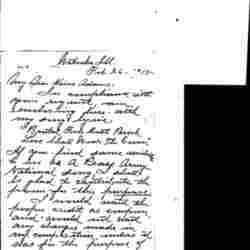 Jennings provides a reference for soprano Mabel Preston Hall. 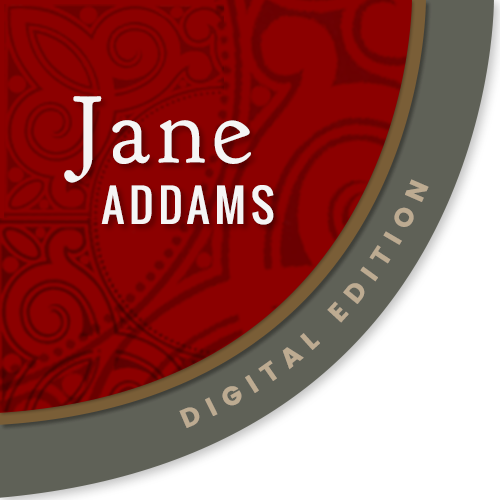 Flint relates the history of the Jane Addams Chorus and the women who helped build it. 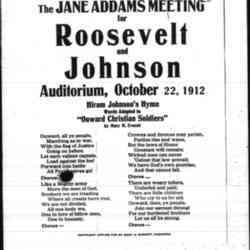 Announcement of a "Jane Addams Meeting" in support of Theodore Roosevelt and Hiram Johnson, with lyrics to a campaign song sung to the tune of "Onward Christian Soldiers." 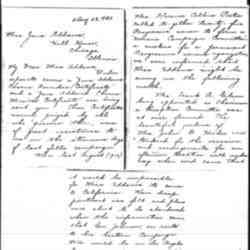 Gray sends Addams another copy of her song, "The Jane Addams Hymn" and asks for a reply. 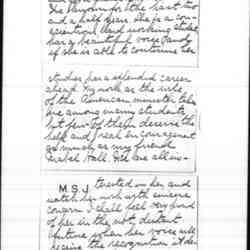 Lyrics to "The Jane Addams Hymn," also entitled "The Song of the Child-Slaves." 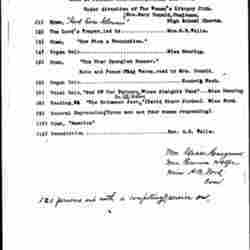 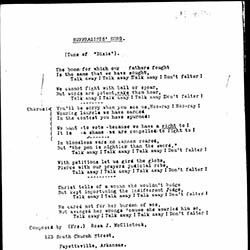 McClintock sends Addams a suffragist song she wrote for entry in a contest.